Sometimes, by the time you've trammed your new miner in to the face, or from one area of the mine to the other, the under carriage is worn out when you get there, before you've mined any coal at all. Feeder breakers present the same problem. That is when you need a heavy low-built trailer such as these. Uintah Machine designs custom heavy-duty lowboy trailers to haul continuous miners, shearers and other heavy equipment in underground mines. Miner and shearer trailers are built with two pivoting wheel boxes containing two wheels each. The pivots serve to keep four wheels on the ground at all times. The larger wheels in the rear of the wheel boxes can be equipped with optional brakes. These trailers also have retractable cross wheels running 90° to the normal direction of travel for maneuvering in difficult areas. When extended, the rear end of the trailer is lifted to allow for sideways sliding. The frame extension, or “stinger”, is used as a lever when the cross wheels are extended. Miner trailers have detachable goosenecks and built-in “ramps” to allow for easy loading of the machines. The gooseneck is equipped with a “cookie sheet” hitch which attaches to the gooseneck via a universal motion apparatus and a large bearing. All these trailers are significantly overbuilt for the loads they must carry. We take pride in our work. 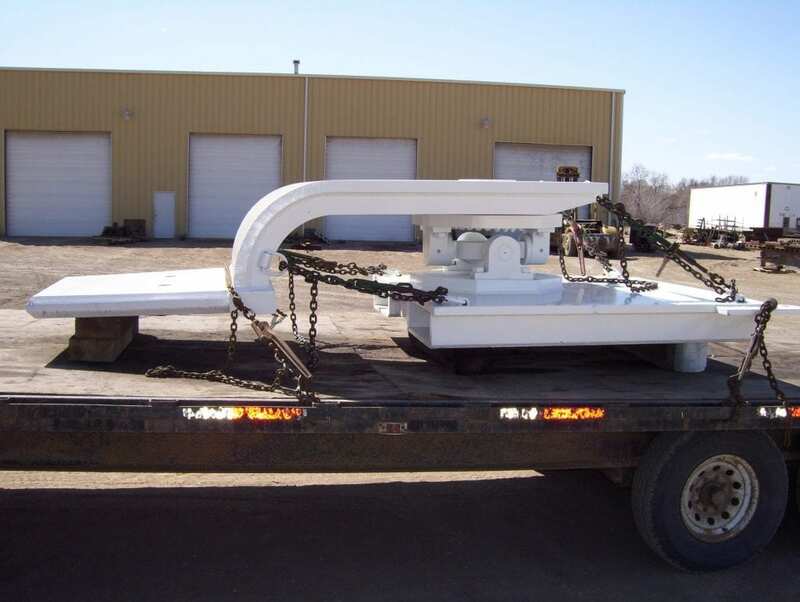 We'll build you the toughest, highest-quality, lowest-maintenance lowboy trailer around. Uintah is happy to design and build a custom lowboy trailer to meet your specific needs, call us today at 435-738-2453 to learn more.